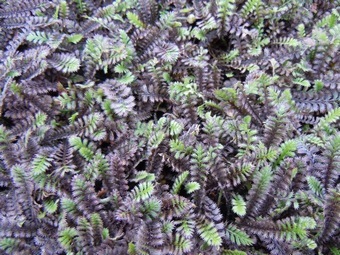 Pretty pink flowers with purple markings nestle amid mats of creeping shiny green leaves in late Spring and Summer, ht 3cm. 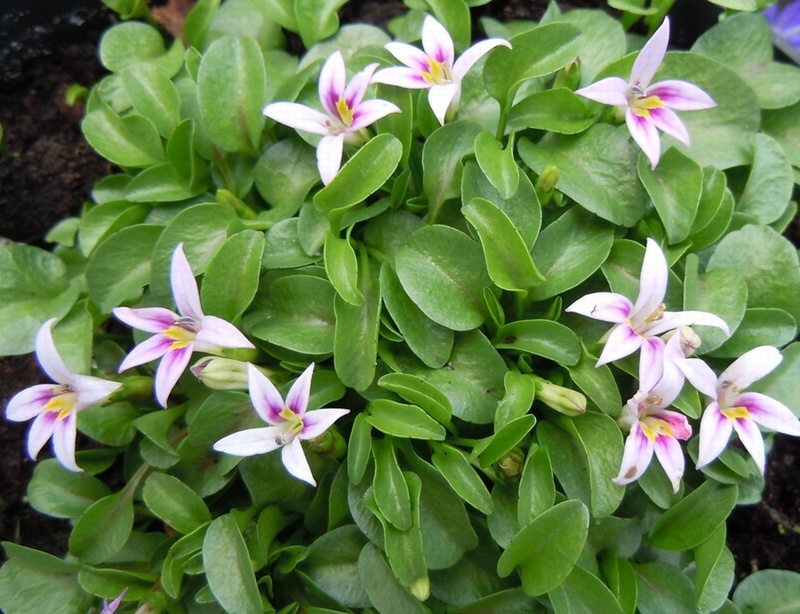 Will grow in sun or light shade in a moist, not too dry position. 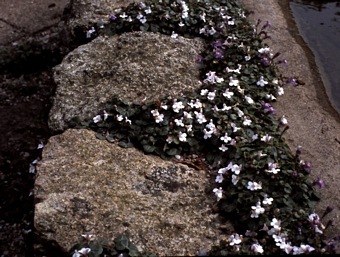 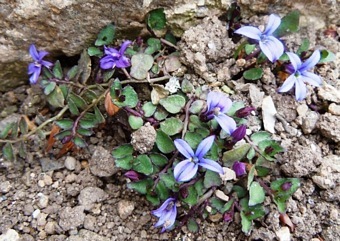 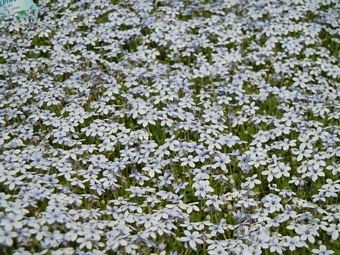 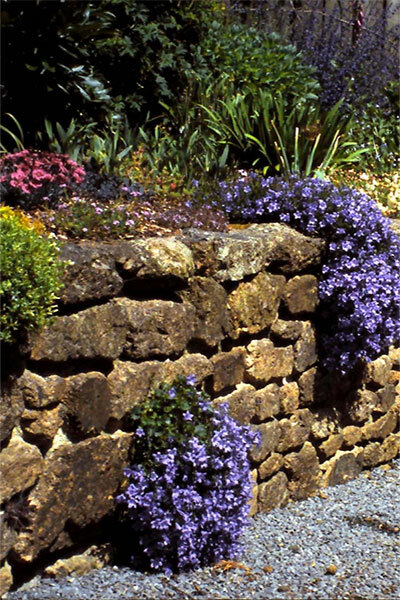 Ideal for growing around paving stones or at the edge of pathways.